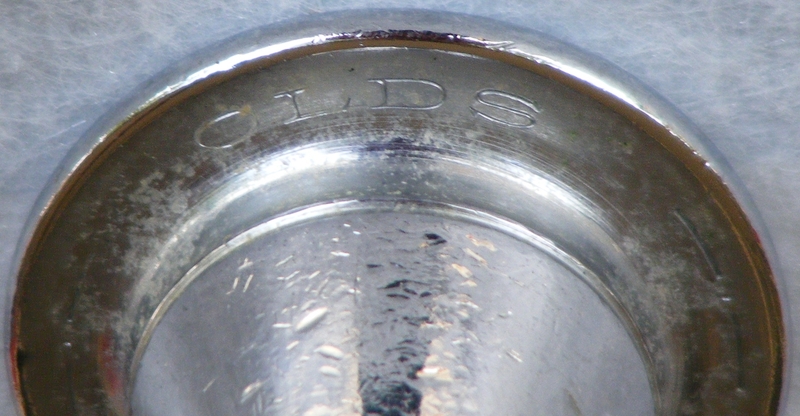 Most Olds fans know the regular Super specs; .485"/.500" bore, 7" or 7.5" bell - but Olds did make a few extra-super Supers. I acquired this horn from Robb Stewart a few years back. 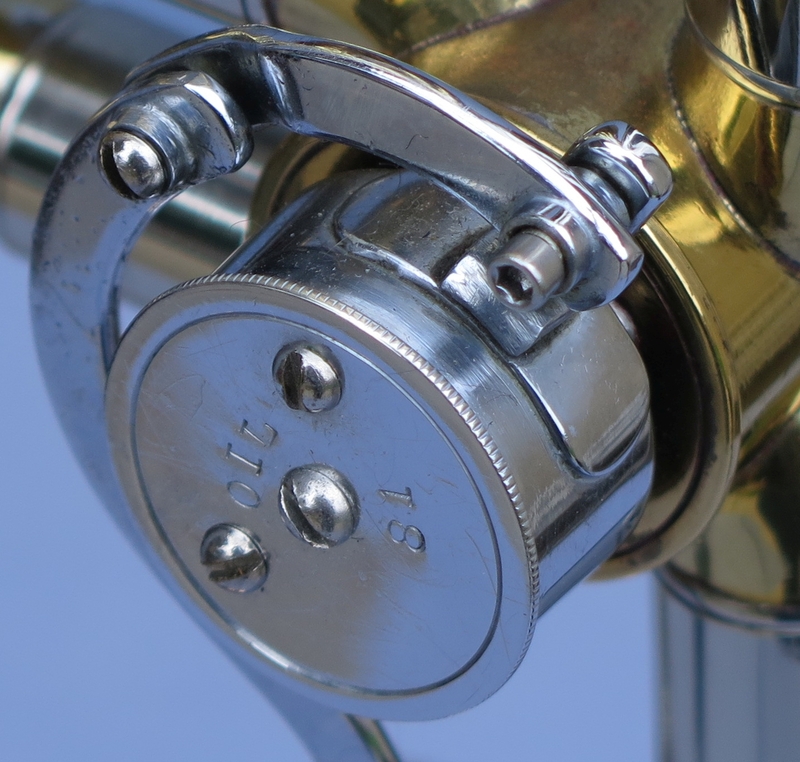 Except for the braces, it has all of the hallmarks of the classic Super Olds, but in a larger size and with an f-attachment. 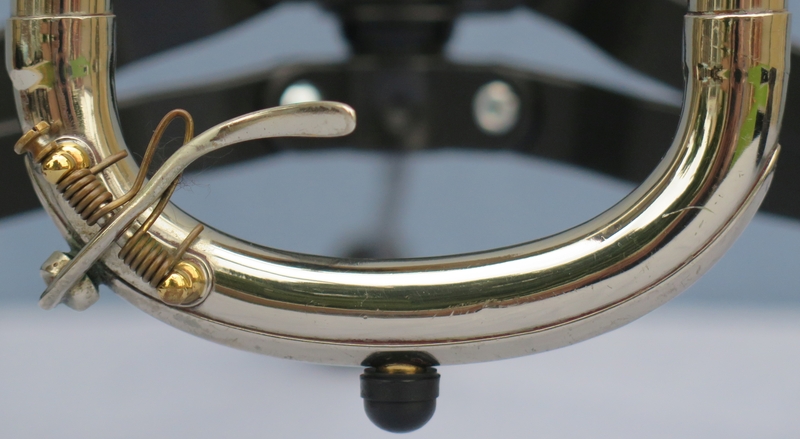 There is no bore marking, and the bell size marking is 8½ (odd, given the 9" bell). I think it was originally built as a symphony horn, possibly for someone who was trying to replicate the sound of a German-style trombone. 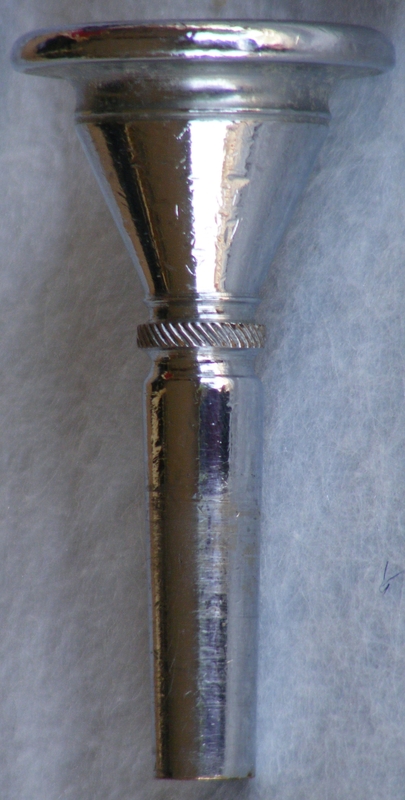 The mouthpiece looks to be original. Unfortunately, the orginal case is long gone. It may have belonged to someone with the last name Frost at some point; that name is painted on one end of the case. I know of at least one other oversize Super. 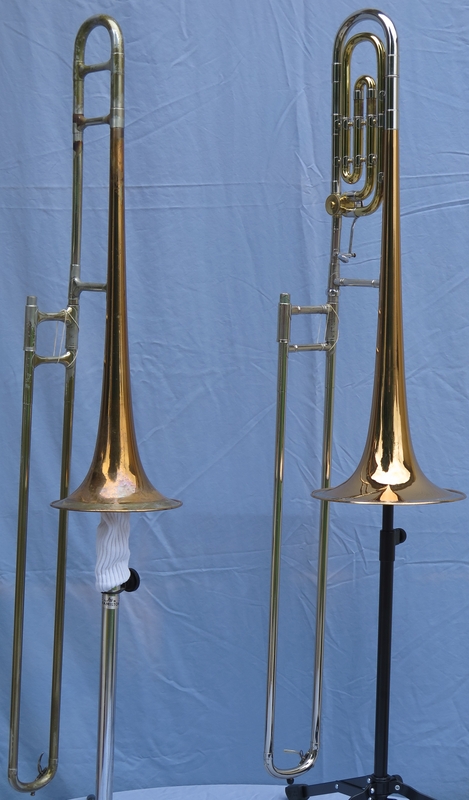 I've never actually seen the horn, but I am told that it is the same bore as this one, but with an 8" bell, regular Super braces, and no f-attachment. 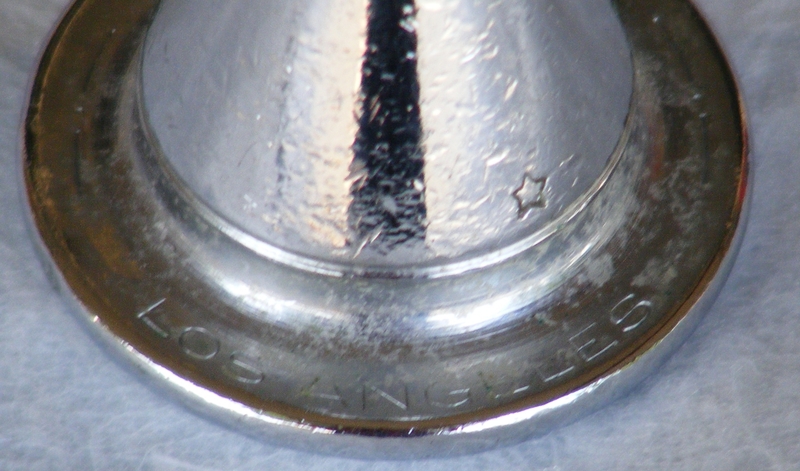 The serial number is in the 11,000 range and it originally belonged to Lorn Steinberger, one-time principal trombonist with the Los Angeles Philharmonic. UPDATE (2/13/2012): I've just acquired another oversize Super. 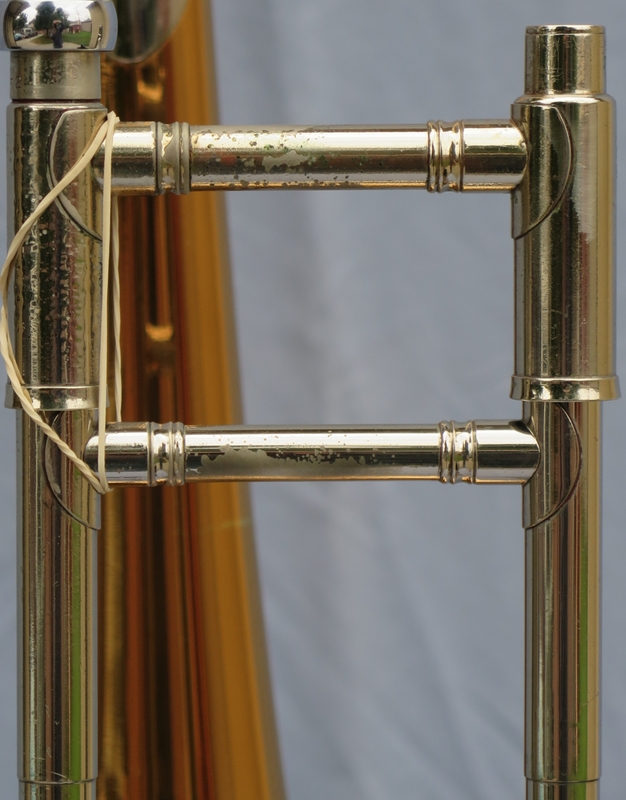 It's similar to the Steinberger horn mentioned above (8" bell, .500"/.522" bore, one-piece streamline braces) and came from the estate of travel researcher Stanley Plog. Mr. Plog was a professional trombonist in his younger days, performing with the likes of Fred Waring and his Pennsylvanians. This horn has its own page now.